If you were at Silicon Sports BarCraft Melbourne on the weekend, you would have seen the official introduction to the crowd of Team Silicon Sports Captain, Mark ‘Petrify’ Fittipaldi and Kerry ‘Kez’ Hopkins along with a new face in the lineup. 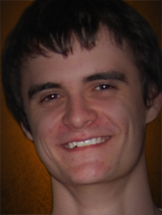 I am extremely happy to have Jack ‘Pezz’ Perry join Team Silicon Sports as our first Protoss player. Some of you might recognise him as the winner of the Cydus LAN Tournament held a few weekends ago. He is definitely and up and comer, certainly giving Petrify and Kez a run for their money. I am sure he will add a lot of steel to the lineup. Hi I’m Pezz a Melbourne based player and a well known member of the clan ToR. After many discussions with fellow Melbournians I’ve decided that SLCN would be the best team option for me. A great player pool, along with players that I am familiar with, and a very friendly environment. With Silicon Sports’ support I hope to improve as a player and achieve promising results in the near future, you can watch out for me at ACL Melbourne and other upcoming events. I’m sure Silicon Sports and myself will develop a long and a prosperous relationship. 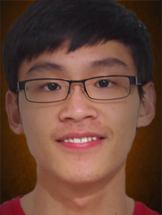 Speaking of new players, we also introduced our first Terran player at BarCraft Melbourne XII. Whilst he couldn’t join us on the night, Wilson ‘StoicWilly’ Mun, is definitely one Terran to reckon with. Being a Terran player myself, I am excited to have a player of Wilson’s calibre on the team (plus the free coaching I get haha). This now brings our team lineup to two Zerg, 1 Protoss and 1 Terran and is now starting to look quite balanced. 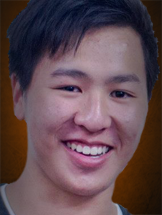 My Name is Wilson ‘StoicWilly’ Mun, I am an 18 year old Terran playing & living in Melbourne. I recently migrated from Singapore to further my studies here in Australia and I have been playing StarCraft 2 competitively for around 2 years since when the game first came out. I am really thankful and grateful for this opportunity to work with Silicon Sports as they have been supporting eSports passionately. I believe I can further improve my skills and I hope to win as many tournaments as I can and support the growth of Silicon Sports into a household name for Australian eSports. Now some of you will notice that we should have three Zerg in the roster. Henry ‘RivaL’ Yum has decided to take some time off to concentrate on personal endeavours in charity for some time and has retired from eSports for now. He is still a good friend of Team Silicon Sports and we wish him all the best in his future works. I would also like to introduce another member to the Team Silicon Sports family. Aaron ‘CautioN’ Chung joins us as manager and talent scout of an exciting new project we will be launching very soon, the Silicon Sports Academy! Aaron has been very active in the community running numerous LANs in Melbourne and his dedication to eSports is a quality we have been searching for to help us run the academy and help identify new talent. More detail on the Silicon Sports Academy and how you can get involved will be announced soon. I’m really happy that I am a part of the Silicon Sports team, having co-hosted and hosted 4 Melbourne StarCraft 2 competitions since Wings of Liberty I wish for the best partnership between the organising of Melbourne StarCraft 2 competitions and the Silicon Sports Team. Silicon Sports are well known for their great ambition and excitement of the BarCrafts they host in Melbourne and I wish for that to come across when hosting StarCraft 2 competitions. What I have always wanted to achieve with eSports is to continue to grow the excitement that our beloved game has brought to us. StarCraft 2 has been one of my staple games which I have dedicated many hours into reaching that one goal the status of Grandmaster. With my personal achievement checked I wish to expand the minds of others still learning the new ‘Meta’ and teaching others about the game and about the world of StarCraft 2 and the potential it has to grow. I look forward to the partnership with rezyn8 and Synthetic in managing the Silicon Team. Team Silicon Sports is definitely taking shape with the quality additions of Pezz and Stoic to the roster. I am looking forward to seeing the team and the individuals improve and ultimately succeed. With the addition of the Silicon Sports Academy, we will be on the look out for fresh talent from the SEA region and help them get where they want to be. The future is looking great! Synthetic & I will continue to do our best for the Melbourne and SEA communities with BarCraft Melbourne, tournaments and the promotion of talented players in the local scene. You can always keep in touch with us by following us on Twitter and liking us on Facebook both at /SiliconSports. You can also join our in game community group as well, so be sure to hang out with us in the ‘Silicon Sports’ group channel and also on google+!